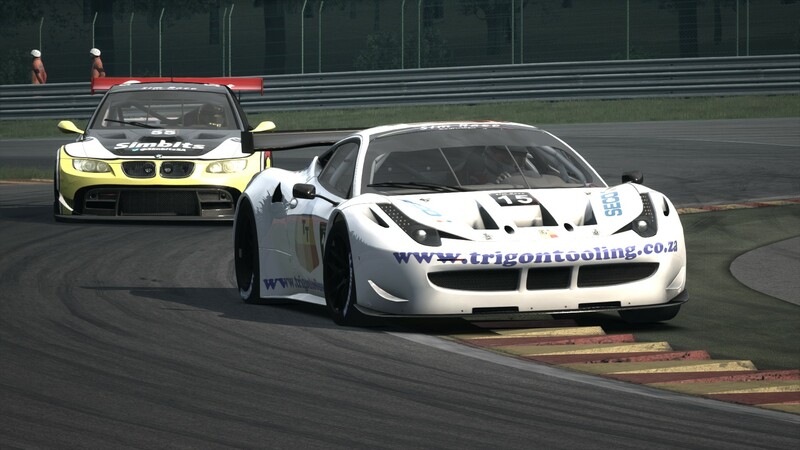 Peter van Vuuren (Trigon Racing) won round three of the South African simGT Endurance at Spa-Francorchamps. Edwards leads Browne and Jadwat into La Source. A chaotic start forced most of the field to take avoiding action to miss the stalled Shadow GhostworX Ferrari of pole starter Markus Steyn. Jonathan Bentz (Squadro GhostworX) narrowly led the opening lap from van Vuuren. 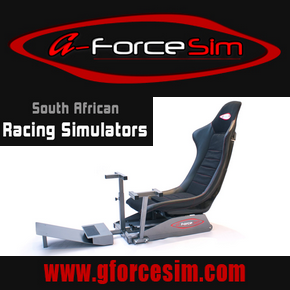 Gerdus Smit (Trigon Racing) profited from the opening lap reshuffle to lead the battle for third position with Nazeem Edwards (Nexus Racing), Basheer Jadwat (Squado GhostworX) and Chris Browne (Shadow GhostworX). Then on lap three a further shuffle in position worked in Johannes Coetsee’s (Rebel GhostworX) favour to see him progress from seventh to third, this after an incident between Smit and Browne forced those around them to take avoiding action. The early stage fight for third between Coetsee and Henebury. The race produced a new race leader, when on lap four van Vuuren used a better drive up the Kemmel Straight to out-brake Bentz for Les Combes. van Vuuren enjoyed better pace to edge away from Bentz. The Prodigy Motorsport pairing of Coenraad van Wyk and Philip Lategan, both on debut, had a successful first seven laps to run in third and fifth respectively, there afterwards an error from van Wyk, at Compass, gifted Mark Henebury (HRT) third position. Race leader van Vuuren and Bentz conducted their pit-stops on lap 11, Bentz had a better pit stop to close the the gap to van Vuuren. 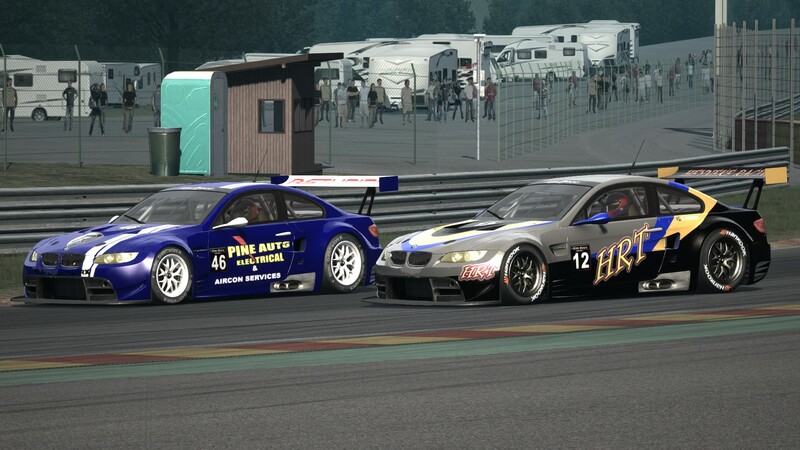 With nine laps remaining Bentz started to close the gap to van Vuuren, the BMW looked notably better through Stavelot. 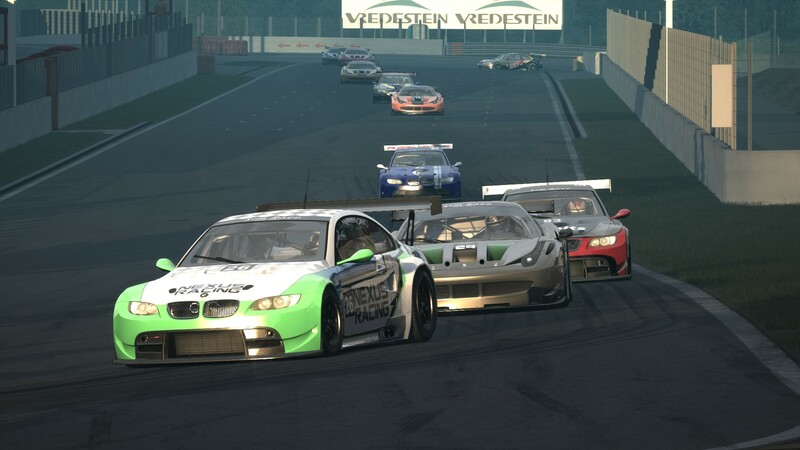 The final charge from Bentz proved unsuccessful as van Vuuren crossed the finish line to secure his maiden simGT Endurance victory. The lights go out and Jonathan gets an excellent start. Markus leaves his temperamental Italian clutch on the grid and gets collected by the unsuspecting lower order of the grid. Jonathan and Peter van Vuuren make it through turn 1 cleanly and head off while the rest of the field pick up the pieces of a rough start. After a few incidents Bash found himself at the back of the grid with a lot of work to do!!! Peter managed to get past Jono in the following laps and began to pull a gap as Jono struggled with tyres. Basheer in the meantime works his way up to P6. Peter and Jono jumped into the pits at the end of lap 11. Slightly early but a sign of their tyre state! Jonathan had a good stop, cutting the gap to Peter from 5 seconds to around 3 seconds! Basheer also had a killer pit stop managing to jump some positions with the close fighting group of P3 – 6. Jonathan spent the remaining laps chasing Peter down and made some good progress towards the end of the race when Peter’s tyres must have dropped off. But it wasn’t enough and Jono crossed the line under a second behind Peter who took a well deserved win!!! Basheer had worked his way up to P3 over the line and held some epic pace in the second half of the race, a somewhat somber ‘what-if’ hanging over his head. 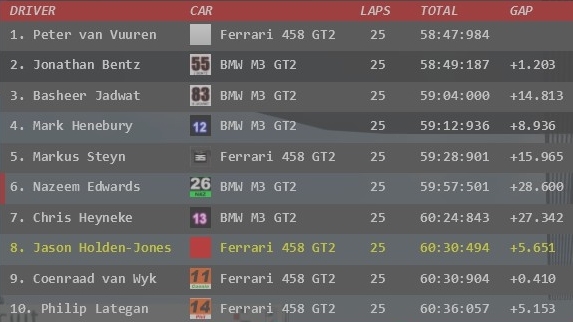 A hard and long race, well fought by Peter and lots of what-ifs spread throughout the grid. 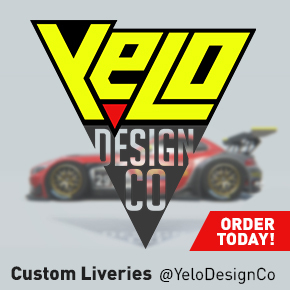 An epic debut by Prodigy Motorsport with Philip and Coenraad, well done boys!